Q. I met someone who practices Buddhism this year at college and I find myself attracted to some of their practices. I think meditating and believing all life is sacred is a lot like prayer and being pro-life. But they have nothing like Mass and Communion. How do I explain to my friend why these are so important to Catholics? A. Ah yes, it is a common attraction that many college students go through. I think that those in their late teens and early twenties often find new ideas about life and spirituality fascinating. For that reason Buddhism is a religion that many are intrigued by. One reason that it seems to be intriguing to many college age students is because it has as its goal “enlightenment.” And it presents some ways of meditating and being at peace and seeking something more. Well, at least on the surface. 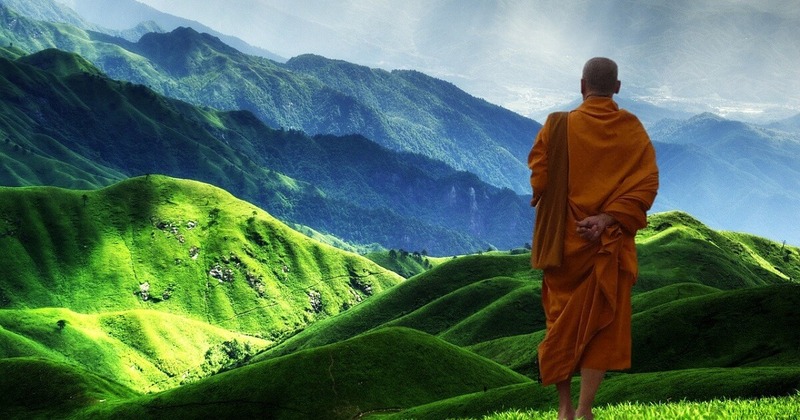 So how do we analyze Buddhism in the light of our Catholic faith? Well, first of all, with all world religions, there are things we can hold in common. For example, if one world religion states we should be pro-life, as you say, then we would agree with them. If a world religion states we should strive to respect the dignity of each person then we can say, “Amen” to that also. If a world religion states we should strive for wisdom, be at peace, love others and strive for human unity then this is a common goal. The main difference is the means by which this is all attained. Within the Catholic faith we believe a concrete truth that is either right or wrong (and of course we believe it is right). What belief is this? It’s the belief that Jesus Christ is God and the Savior of the whole world! That’s a pretty profound and fundamental claim. So, if Jesus is God and the one and only Savior of the world, as our Catholic faith teaches, then this is a universal truth binding on all people. If we were to believe He is only the Savior for Christians and others can be saved through other religions then we have a major problem. The problem is that this makes Jesus a liar. So what do we do with this dilemma and how do we approach other faiths like Buddhism? I suggest the following. First, you can share with your friend that what we believe about Jesus, the Sacraments, and everything else in our faith is universal. This means that we believe it is true for everyone. Therefore, we always want to invite others to look into the riches of our faith. We invite them to look into the Catholic faith because we believe it is true. Secondly, it is fine to acknowledge various truths other religions teach when those truths are shared beliefs we have. Again, if Buddhism says it’s good to love others and seek harmony then we say, “Amen.” But we don’t stop there. We need to take the next step and share with them that we believe the way to peace, harmony and love is by being deeply united to the one God and Savior of the world. We believe that prayer is ultimately not just about seeking peace but, rather, is about seeking the One who brings us peace. Lastly, you can explain the deep meaning of each Catholic ritual (like the Mass) and share that we believe these aspects of the Catholic faith have potential to transform any person who comes to understand them and live them. Hope that helps! In the end, make sure your goal is to share the rich truths that you are blessed to live and understand as a follower of Jesus Christ!